Nashville, Tenn. – (March 8, 2017) It is with sadness that we report that, James Stice, father of Gospel Pianist and Artist Jeff Stice passed away yesterday March 7th. He slipped into the arms of his Savior peacefully in the presence of his family. Please keep Jeff and the rest of the Stice family in your prayers. We will update Mr. Stice’s arrangements as they become available. Jeff Stice, affectionately known as “Mr. Piano Man” is having an incredible musical journey and has reached pinnacles of great success in The Gospel Music World. His love for the piano started at the age of 6. His mother played and every time she did, he would lie under the piano and listen. When she would finish, he would get on the stool, place his hands on the keys and begin to pick out the melody of some of the songs he had heard her play. At the age of 8 he began taking lessons and it was recognized early on that he had “an ear” for music. Jeff’s parents began to take him to Gospel Concerts where he immediately fell in love with “The Piano Players”. 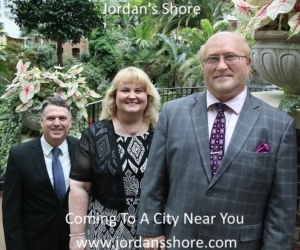 As he began to grow older his love for Gospel Quartet Music began to grow as well. At the age of 15 he began playing for his father’s quartet, winning high school talent shows along the way. After Jeff graduated from high school he went on to major in Piano Performance at Western Kentucky University. Shortly after, he was offered a position in The Rex Nelon Singers. While there, he received The FAVORITE YOUNG ARTIST AWARD by The Singing News Magazine. It was during this time that Jeff began to develop the art of communicating through his music. Featured on different solos each night, he would always seem to connect with the audience. 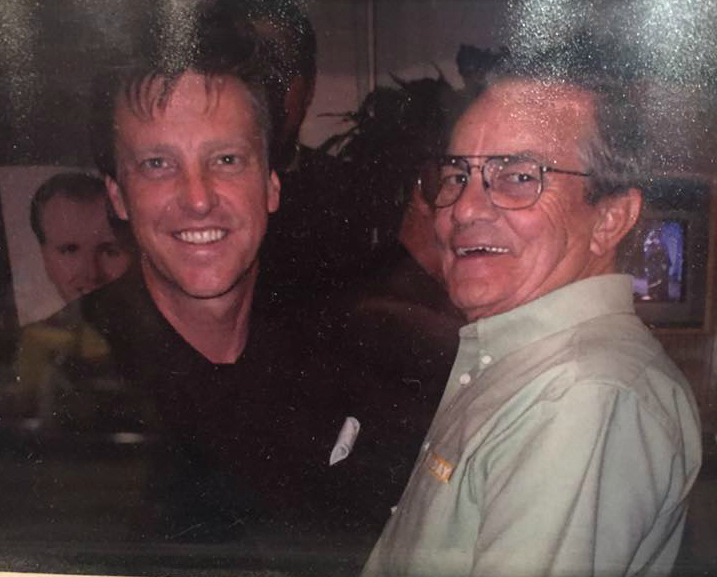 To this day, Jeff credits Rex as one of his primary teachers and mentors. In 1990 he helped form PERFECT HEART. It was during his time there that he received his first MUSICIAN OF THE YEAR AWARD from The Singing News Magazine. As a member of PERFECT HEART, Jeff began to venture on his own from time to time doing solo concerts, where he would play dramatic standards of Gospel and Classical Music as well as hand clapping Southern Gospel favorites. His impressions of RAY CHARLES, FLOYD CRAMER, ROGER WILLIAMS and LIBERACE, to this day, are audience favorites. In 2002 he was offered an opportunity from LOUISE MANDRELL to put together a Quartet for her theatre in Pigeon Forge, Tn. Because of this, he helped form THE TRIUMPHANT QUARTET where he played for, arranged and produced their music for 12 years. Jeff also played in Louise’s orchestra on several occasions. In February of 2014, Jeff went through a season of reflection and change. He enrolled in an intense discipleship program for three months. While there, he discovered God in a way he had never known Him before: “While sitting on a picnic table by a creek one afternoon, I felt God’s arms wrap around me. He drew me close and reminded me that he loved me unconditionally and that He had given me a gift to share. The gift of grace. For 46 years I had known about God, but now I know how to BE with God. So now, I have a testimony to share and I have a new song to play as I start a new chapter for my life. Jeff is now in a solo career, doing Piano Concerts, producing projects for groups, soloists and other musicians and helping care for his parents. He is also currently enrolled and working on his Bachelors Degree from Louisiana Baptist University.